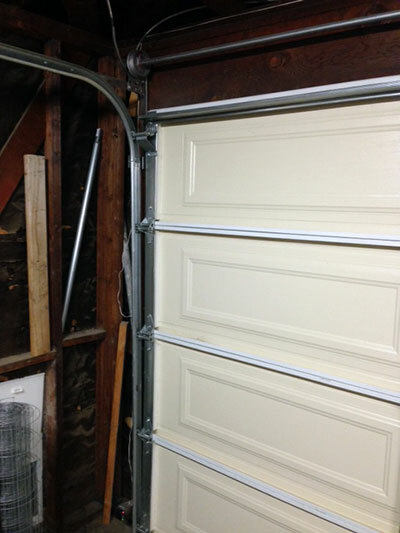 The first step of garage door maintenance involves checking the components for damage and wearing. If they are in good condition, they can be cleaned and lubricated. Are you ready to perform proper garage door maintenance? Ideally, it should include the hardware, panels and the opener. With the right measures, all of these components will work perfectly. Only the steel rollers require lubrication. If you have nylon rollers, you don't really need to lubricate them. The work begins with the cleaning of both the rollers and the tracks. This will help to eliminate any dirt stuck around the wheels. A mild solvent or a brake cleaner will do a great job. Lithium lubricant is an excellent choice as its texture does not change as the temperature drops down. Both the wheels and the stems require spraying. If the wheels are moving during lubrication, the product will spread naturally to the stems as well. The most important thing is to check them for any signs of decay. The key is to watch out for darker, softer and slightly moist spots. The bottom panel is at the highest risk. Decaying sections have to be repaired right away. The next step involves cleaning. It is sufficient to wipe the surfaces clean with slightly damp cloth. If there is stubborn dirt, specially formulated wood cleaner may help. It is best if wood doors are repainted annually. It is best to check the weather seals beforehand. If they are worn, they should be replaced. The hardware parts and the trolley in particular require inspection for damage and wearing. The closing force should be tested with the help of a wood plank set on the floor under the door. If the door doesn’t reverse gently upon touching it, the force has to be reduced. The chain and the sections where the trolley gets into contact with the rail should be lubricated. It is best if the lubricant is specially formulated for electric operators. The controls require basic cleaning. Wiping them with damp cloth should be sufficient. If necessary, the batteries should be replaced. No time to maintain your overhead door and opener? Let us do the work professionally and deliver excellent results. At Garage Door Repair in Treasure Island, we care for automatic doors of all types, makes and designs. The age doesn’t matter at all. Count on us to keep each component in optimal working condition. If there is a need for repairing or replacing a part, we will do the job on the spot. For using our services, call us or leave a note. For more information, browse our website.